There are 3 main products that we offer in this section. 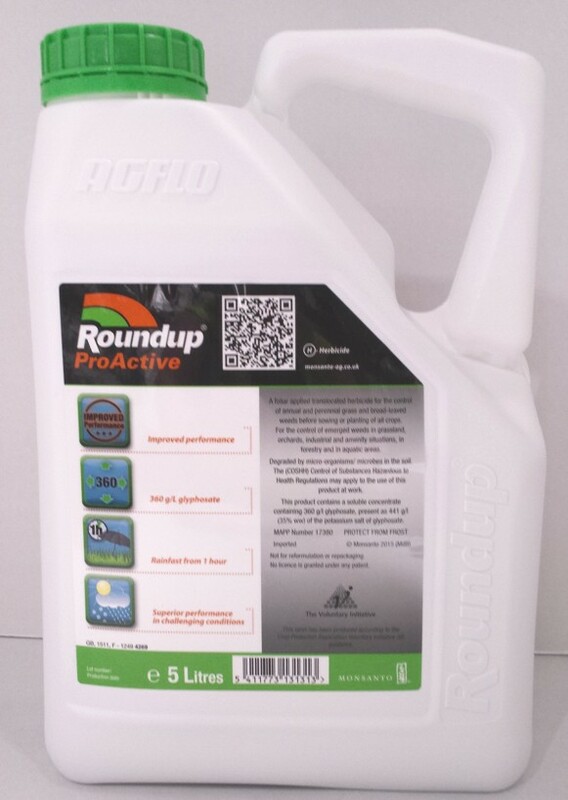 The level is dependent on the concentrate of the active agent, glyphosate per litre of chemical. This is not your run of the mill chemical you see in the discount stores or large warehouses ! 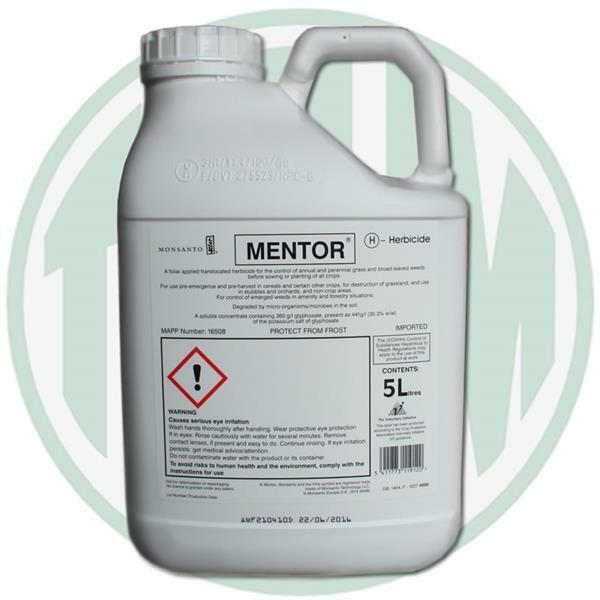 A foliar applied translocated herbicide for the control of annual and perennial grass and broad-leaved weeds before sowing or planting of all crops. For use pre-emergence and pre-harvest in cereals and certain other crops, for destruction of grassland, and use in stubbles and orchards, and non-crop areas. For control of emerged weeds in amenity and forestry situations. Roundup ProActive is an effective herbicide when used as directed against most annual and perennial grasses and broad-leaved weeds. Roundup ProActive is translocated from the treated leaves throughout the plant and to underground roots, rhizomes and stolons. Symptoms such as reddening, yellowing and gradual wilting of the foliage are rapidly visible in grass weeds but are slower to appear in broadleaved weeds. It is a clean label product, approved for use in a wide range of amenity situations including hard surfaces and around amenity vegetation and aquatic areas. 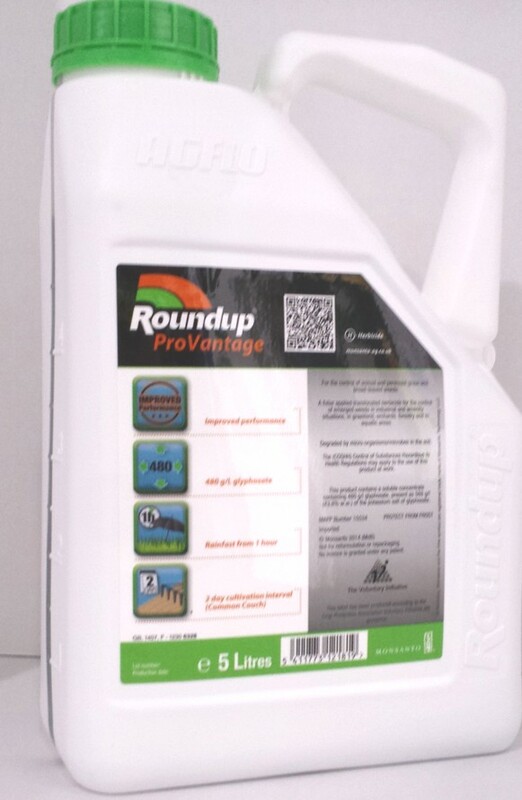 Roundup ProVantage should be mixed with water and applied using a hand-held knapsack sprayer, vehicle mounted boom sprayer or a stem injector.